Get notified when Portland Trail Blazers tickets are available! The Portland Trail Blazers are a National Basketball Association team that competes in the Northwest Division of the Western Conference. The team was founded in 1970 and won their first championship in 1977. 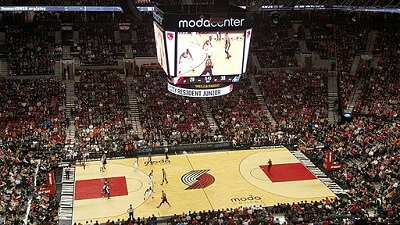 Fans of the Portland Trail Blazers can watch their favorite team play live at the Moda Center, which is located in downtown Portland. The arena opened in 1995 and was originally named the Rose Garden. It has been called its present name since 2013. To purchase Portland Trail Blazers tickets to sit in one of the arena’s more than 19,000 seats during a game, use the links above.